Easter is coming and if you're not getting a chocolate egg this year, maybe you'll request a video game instead. 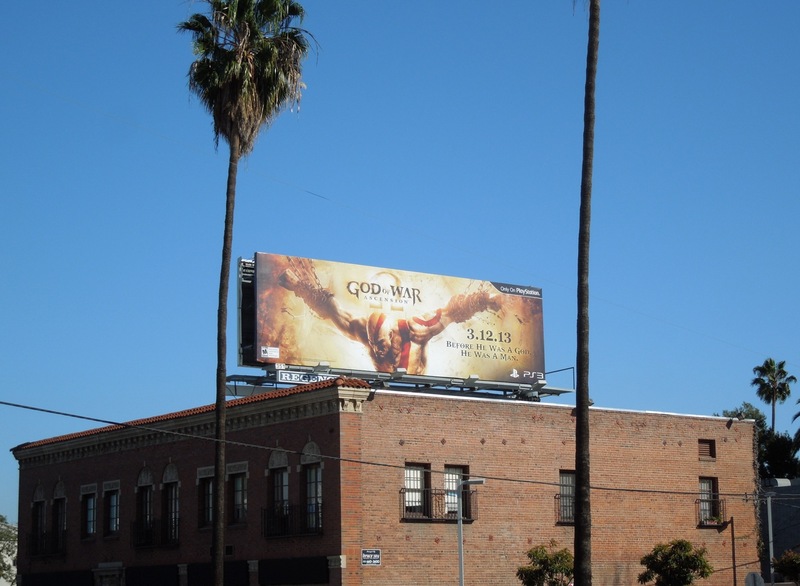 That's possibly one reason why there's so many new console games being advertised around L.A. at the moment (or maybe people will have more time to play over Spring Break), as God of War: Ascension becomes the third game billboard after the new Tomb Raider and Bioshock: Infinite to spring up in the past few weeks. 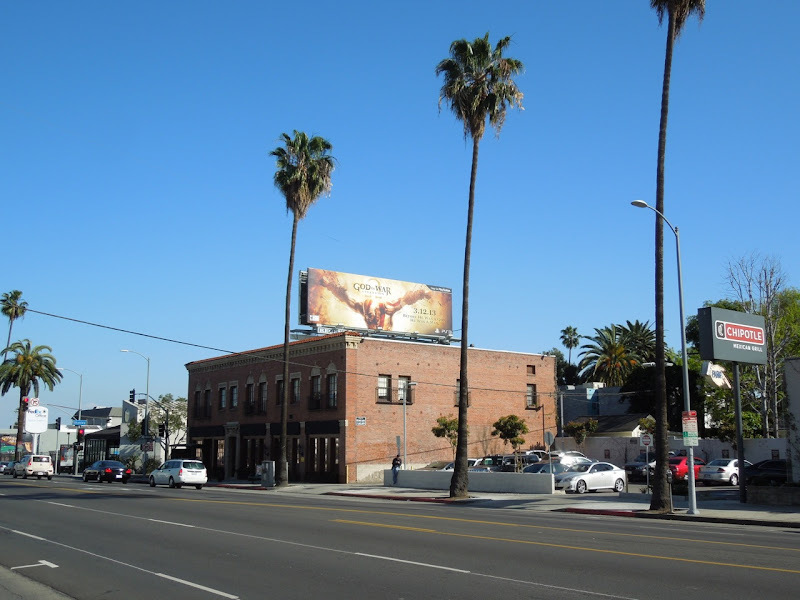 This creative reminds Daily Billboard of this Spartacus: Gods of the Arena TV billboard and was snapped along Sunset Boulevard on March 9, 2013. 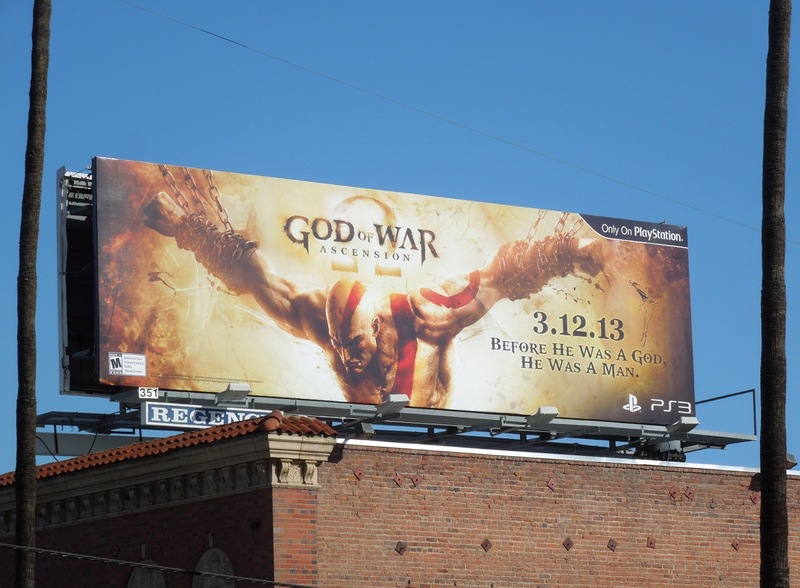 Like that TV show, this game is a prequel to the entire God of War series, even though it's the seventh installment. Loosely based on Greek Mythology, you'll once again play 'Kratos', a former servant of the Olympian God of War, 'Ares', so expect lots of bloody vengeance and exciting gameplay in the land in Ancient Greece.